A recent drop in temperature has provided ample opportunities to snap Scotland in all its frozen glory. Send your photos to scotlandpictures@bbc.co.uk or our Instagram at #bbcscotlandpics. 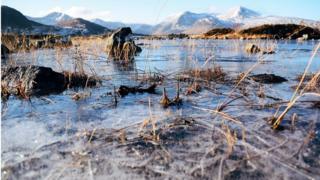 Image caption David Sutherland said the frozen conditions at Glencoe made for a beautiful sight. 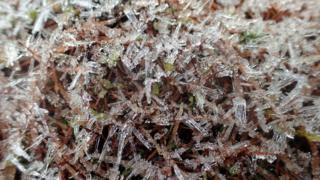 Image caption Scotland's wood ants were praised for their 'master architecture' by Chris Cathrine, who took this photo of a frozen nest in Argyll. 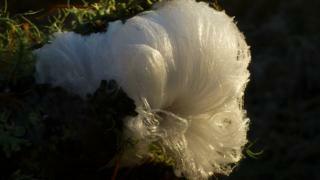 Image caption Some rarely seen "hair ice" was spotted in Nairn by Lisa Wood. 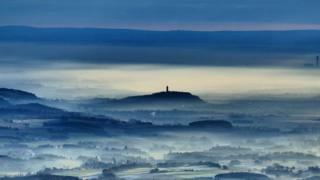 Image caption Iain Cameron caught this stunning image of a misty Forth Valley from the slopes of Ben Ledi. 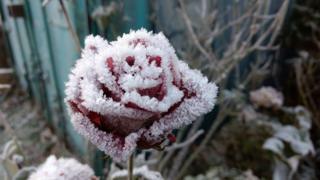 Image caption A fairly frostbitten rose in Narister Oliveira's garden in Glasgow. 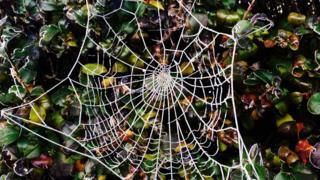 Image caption This striking spider's web might not be any use catching flies until it's thawed out. Jenni Hill took the photo in Edinburgh. 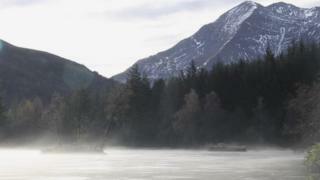 Image caption Glencoe Lochan was frozen over when Brian Knox visited at the weekend. 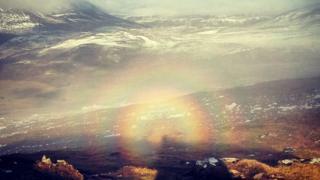 Image caption Katie Barr and her sister Ishbel were followed by a brocken spectre while walking on Ben Vrackie, Pitlochry. 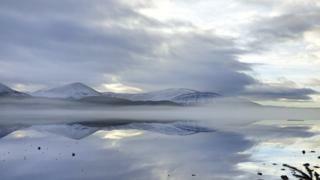 Image caption Hard to tell where water meets land on a misty Loch Morlich. Photo by Robert Ashmore.